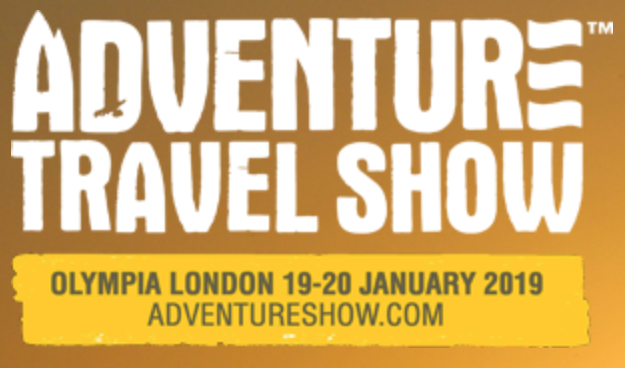 David and I took the unusual step to take the train down to London and visit the Adventure and Travel Show at Olympia. Neither of us really knew what to expect and so we went completely open minded. The show was made up of many interesting little booths each selling their adventures or providing information. There were a number of different sized seminar rooms where well known individuals were giving talks on a wide variety of subjects. David and I were particularly interested in the seminar by the the now famous Austin Vince and his wife Lois Pryce. Two intrepid adventure motorcyclists in their own rights. There were a number of representatives at the show from various Embassies providing information on visas and travel arrangements. This was of particular interest as it is great to be able to ask questions directly to the people who really know what the rules are. Kazakhstan was of particular interest to us as this is one of the countries on our route. 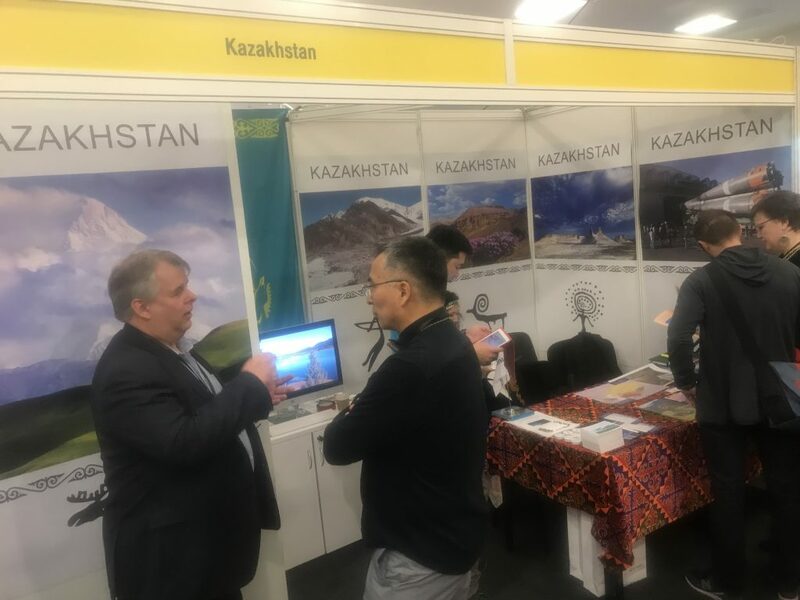 We spent some time at the booth and eventually left with the contact details of one of the visa processing team at the Kazakhstan embassy in London. 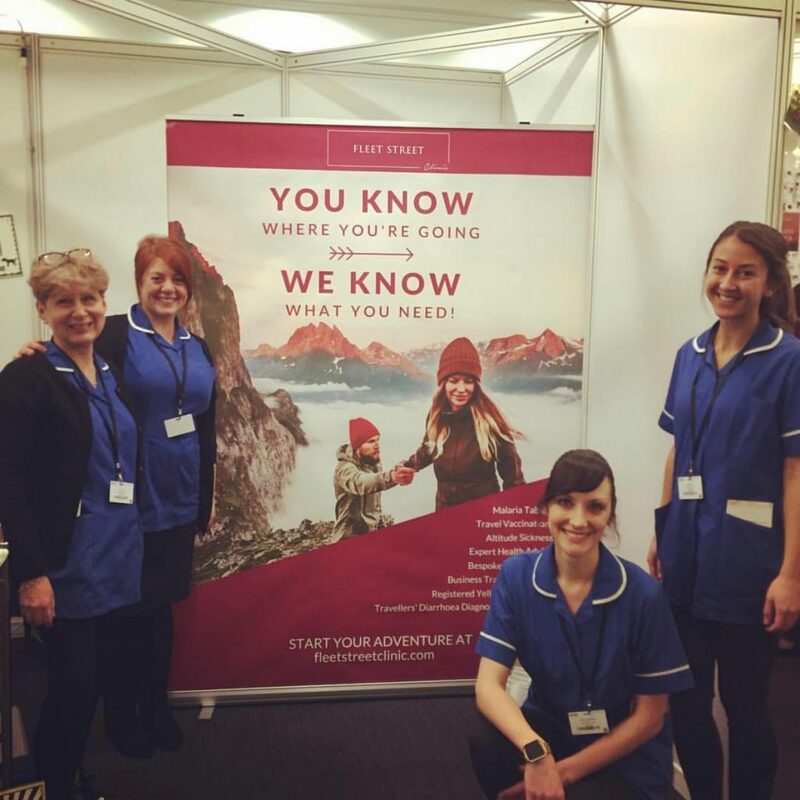 Another booth of interest was the Fleet Street Clinic where the extremely well information nurses were able to advise us on what vaccinations we needed for each country. 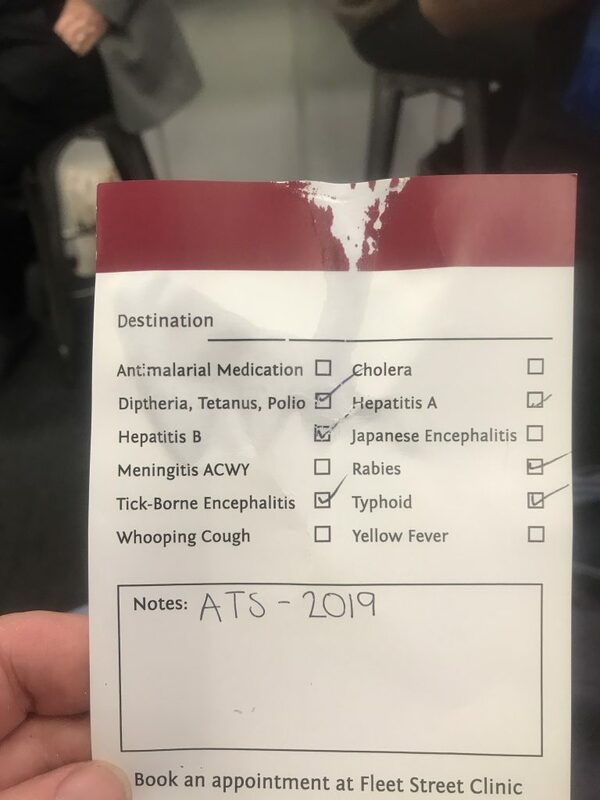 It wasn’t long before we had a tick sheet detailing exactly what vaccinations we needed and detailed information why they were so necessary. Some of the nurses were also seasoned travellers so it was interesting to hear their experiences too. David was sweet talked into entering a competition to win a first aid kit so here’s hoping we win it! The highlight of the show was of course the 2 hour seminar by Austin Vince and his wife Lois Pryce. 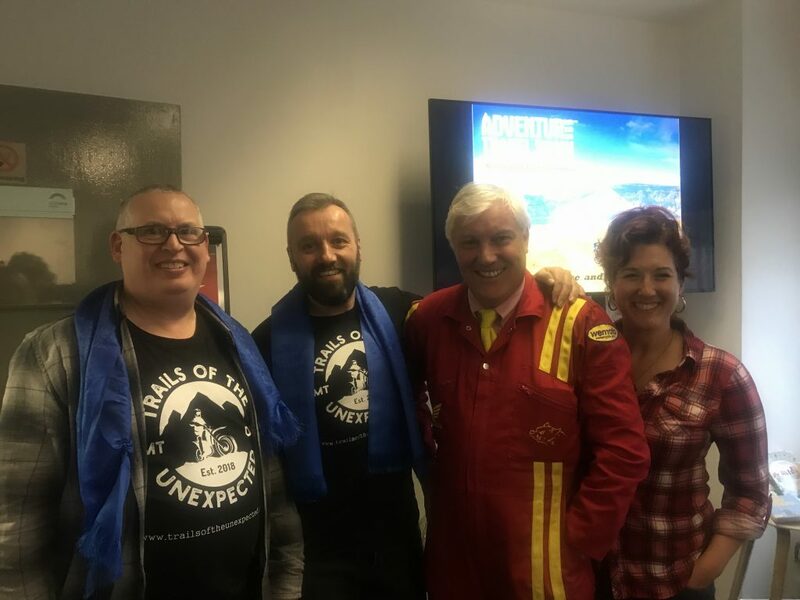 Two extremely interesting people to listen to who are very experienced adventure motorcyclists in their own right. 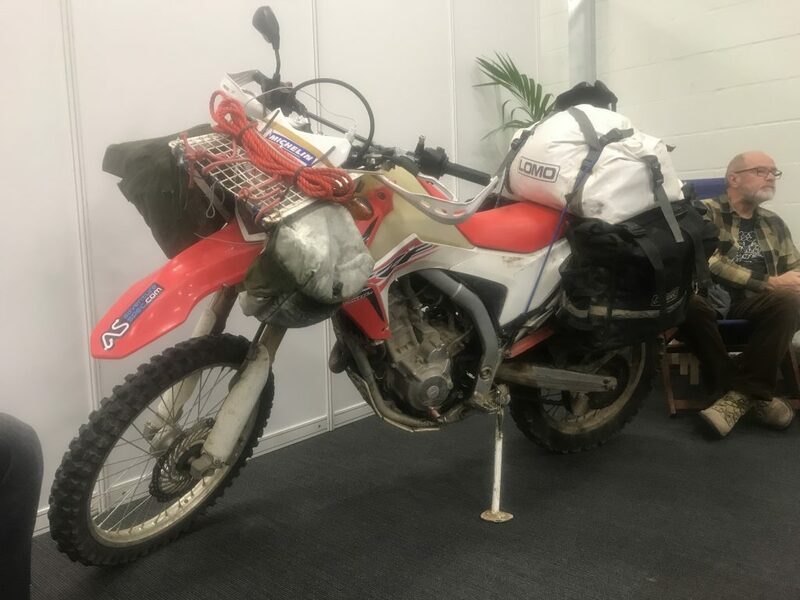 Austin has ridden around the world taking the longest route possible and crossed the Sahara desert whilst Lois has travelled Alaska to the southern tip of south America and all the way down through Africa, both trips solo. 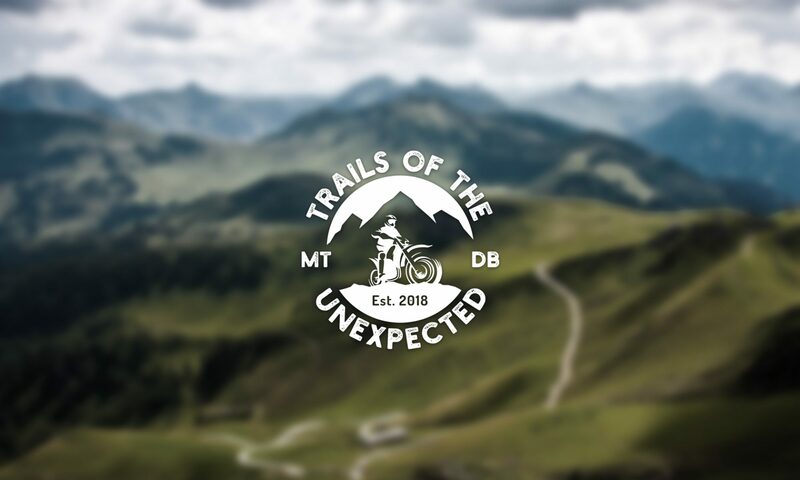 The two hour seminar soon went by with Austin and Lois sharing information on why they recommend using small capacity bikes, the type of luggage to use and why, clothing, food, routes, off road training and more. It was a fun day meeting lots of people from so many different countries albeit a long day with a very early start. 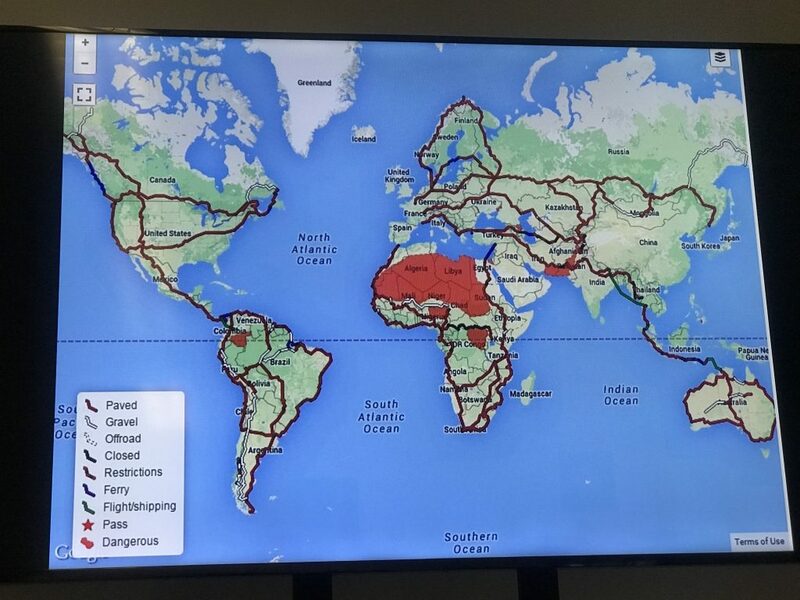 It’s certainly well worth anyone who is thinking of going on pretty much any kind of Adventure around the world visiting the show as there is something there for everyone. Booking seminars in advance is highly recommended as they sell out fast! Previous PostPrevious First big step taken! Next PostNext How fast does it go, Mister?